We've learned of a new film in the works about the impact of John's fateful words back in 1966 when he commented that the Beatles were bigger than Jesus. This documentary documentary feature film is being made about the 'Bigger than Jesus' conspiracy by a prize winning British TV producer and the production will include a vast array of interviews both in the UK and the USA - including one of the last given by Tony Barrow. 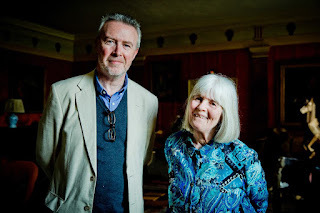 Also interviewed was with the wonderful Maureen Cleave, who carried out the original interview with John in early 1966. To date the project has been privately funded, but a crowd-funding campaign to help finish it off will kick off before year end. In the meantime, there is a Facebook site designed to create a community of fans who are interested in this story and to keep fans informed of the progress of the project. We will report again on this project later in the year when we learn more. In the meantime, if you are interested "like" the Facebook site.